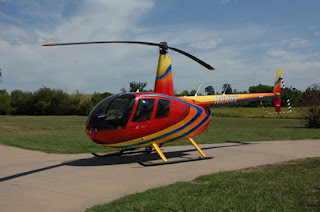 In part one of this article series, I introduced you to John Stahr, one of this country's most prolific aviation airbrush artists. 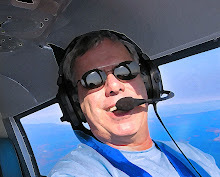 He's also a member of my EAA Chapter in Eugene, Oregon, and a hangar row mate at KEUG. As this story unfolded, I told you about my past history as a fine art gallery owner, and how I was intrigued by the artist's process for taking a mental image or idea – a concept – and transforming it from brainwaves to a finished work of art. 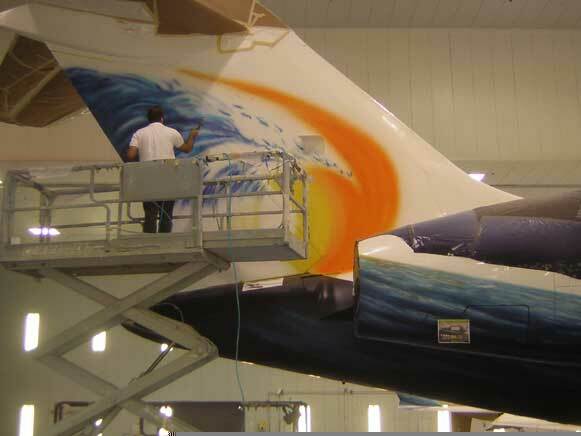 Whether it is a guy like Stahr painting an entire ocean down the side of a Global Express, or 'Jumpin' Joanie painting a still life scene on a raisin tray, the process is what makes art so special. 'Jumpin' Joanie is Joan Ellen Anne Daly Pimentel, my late mother. A lifelong artist, she was also very prolific, and in the 1970s, developed a knack for painting on used raisin trays. Those were 3' x 4' wooden trays the raisin farmers used near my home in Central California's San Joaquin Valley to dry Thompson Seedless grapes into the little dried balls of love you find in your breakfast cereal. Part of the process was for me – as a teenager – to drive around the country roads until I spotted a gigantic pile of old, used raisin trays, and then fast-talk the farmer into selling me some of what was really a pretty weird artistic medium for my mom to paint on. I'd then bring them home, clean them up, and sort them until I found the ones with a really cool dried grape pattern burned into it by the blistering sun of too many hot Fresno summers. On those, mom would paint anything that would generate a few bucks, and she stayed busy doing this for years. I spent those years watching her produce these tray paintings, taking each from sketch to finished product all day, every day. While the skill of painting never stuck with me, mom's interest in graphic design did, and I have been supporting myself since 1986 in that trade. 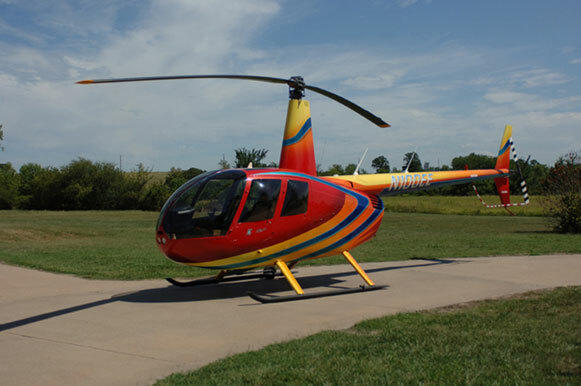 Bruce Taylor's R44 Raven II helicopter. Once the design is complete, the customer either flies or trailers the aircraft to Stahr's Eugene airplane studio, or John travels to their shop, hangar, or aircraft paint operation set up to help with the project. Yes, those jobs were a test of an artist's devotion to his craft, but other jobs such as the Flying Hawaiian series of planes, a Falcon 900 bizjet, and the RV-10 “Maid of the Seas” (an Oshkosh winner) were very gratifying. The one job Stahr would still like to do? “A 737 for Alaska Airlines with an Hawaiian theme,” he states emphatically. In closing this interview, I tried to determine how special the talents of John Stahr were. Stacked up against those in his trade, where does his level of proficiency place him? That list of “really great airplanes” has been covered by the aviation press at one time or another and includes a long list of Oshkosh planes, one Reno Race Jet, and a handful of business jets (that go way over the top for typical bizjets according to the artist). Several Lindy award winners (often painted in conjunction with Craig Roberts of Aurora, OR), the RV-7 Corsair wannabe, and a number of Lancairs are just a peek at Stahr's portfolio. Stay tuned, you will not be disappointed.